At the weekend I picked up a new nail varnish - the Maybelline Forever Strong Super Stay Gel Nail Color in Uptown Blue. The shade jumped out at me by a mile; I think it has the perfect balance between pastel and bright. It's not too muted yet it's not an in-your-face neon, which makes it just the perfect summer blue for me. The formula is thick, shiny and long lasting, giving me a good five days or so wear time. 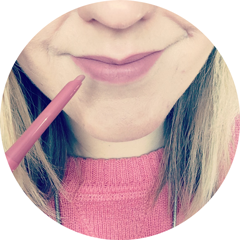 I've mentioned before that I'm a big fan of the wide nail varnish brush and this one ticks that box for sure; it's not far off being as wide as the nail on my little finger! The Maybelline Forever Strong Super Stay Gel Nail Color in Uptown Blue costs £4.49 normally, though I got mine half price thanks to a Boots offer (buy one get one half price on Maybelline products). You can take a look at the rest of the shade range here! What do you think of this shade? What is your favourite blue nail varnish for summer? That's the perfect blue! I've got a few favourites.. I think blue is my long standing favourite colour of nail polish! That colour is gorgeous!! Like a sky blue, I love it!